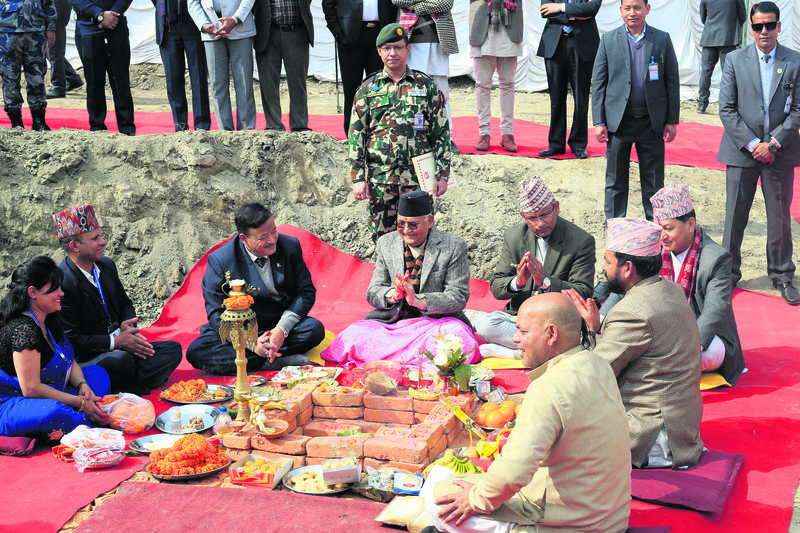 KATHMANDU, Jan 18: Prime Minister Khadga Prasad Oli, on Thursday, laid the foundation stone for the construction of the Inland Clearance Depot (ICD) in Chobhar amid protests by locals. Speaking at the event, Oli directed the Nepal Intermodal Transport Development Board (NITDB), which is overseeing the construction of the dry port, to implement the project in such a way that it would be sustainable, strong and reliable. The dry port will be built in 11.77 hectares of land previously occupied by Himal Cement Factory. Similarly, Minister for Finance Yuba Raj Khatiwada and Minister for Industry, Commerce and Supplies Matrika Prasad Yadav expressed their beliefs that dry ports and similar infrastructures would help facilitate businesses and transportation. 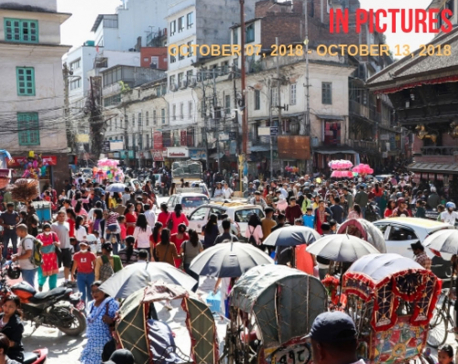 The dry port, which will be a relief for the unmanaged flow of goods in and out of the Kathmandu Valley after the construction of the Kathmandu-Tarai Expressway, is estimated to be completed within 19 months. The World Bank is extending assistance worth US$ 22 million for the construction of the dry port. The dry port is a component under Nepal-India Regional Trade and Transport Project. 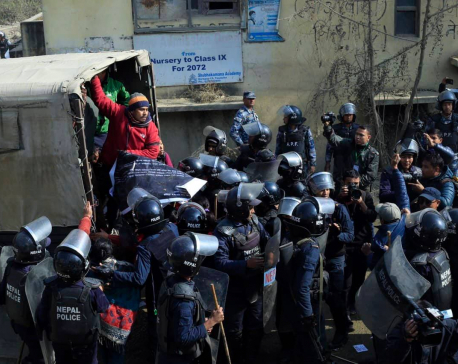 Before the inauguration ceremony, police had arrested 35 locals who were protesting against the construction of the dry port at Chobhar of Kirtipur Municipality-6. According to the Metropolitan Police Range Office (MPRO), the locals were arrested after they showed black flags to the Prime Minister while he was on the way to the construction site for inauguration. “The protesters were showing black flags and obstructing the road, indicating their disapproval of the project,” Deputy Superintendent of Police (DSP) Hobindra Bogati, the spokesperson for the MPRO, told Republica. The locals, led by Chobhar Conservation Committee, had urged the government to first resolve existing land issues with Himal Cement Factory and address the needs of local residents before starting construction works. They have also been demanding compensation from the government, claiming that construction would affect natural beauty of the area. DSP Bogati claimed that the locals have no right to ask for compensation since the land never belonged to them. 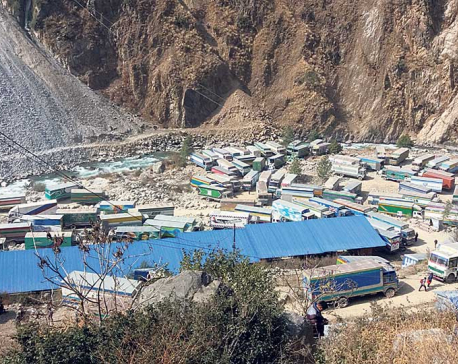 “The land belonged to Himal Cement Factory – a government entity. It took almost three and half years to transfer ownership of the land to the Ministry of Industry, Commerce and Supplies,” he added. The World Bank nearly walked out of the project due to delay in land ownership transfer. According to the NITDB, the dry port will have warehouses, litigation shed, administrative buildings for customs, parking lots, quarantine, bank and other required facilities for customs clearance along with the office of the NITDB. It will have the capacity to accommodate 626 20-feet containers, parking lot for 205 trucks, loading and unloading facilities, and six warehouses. Based on the current import and export scenario, the depot has been designed to cope with traffic flow till 2039. The NITDB has also prepared a master plan of International Exhibition Venue along with the ICD in the 1,054 ropani of land owned by the Ministry of Industry, Commerce and Supplies in Chobhar.